Join Inprint as we celebrate the stories of our elders. 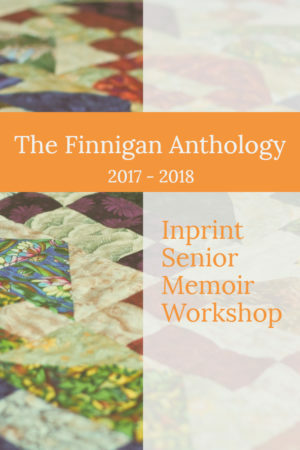 Eight senior citizens enrolled in the 2017-2018 Inprint Senior Memoir Workshop at the Finnigan Park Community Center, will give readings from their work, sharing life stories with family and friends. The reading is free and open to the public. 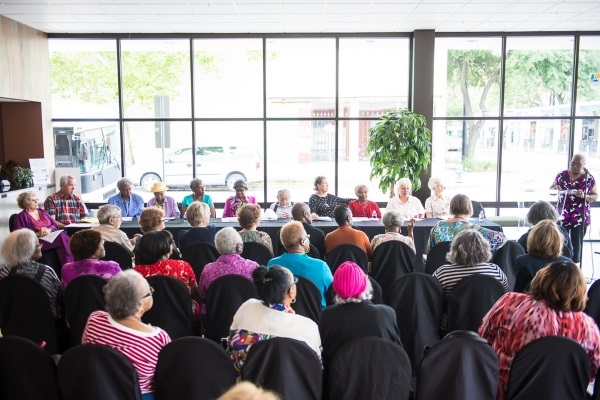 The Inprint Senior Memoir Workshop at Finnigan Park Community Center, hosted by Harris County Precinct One, has been running since 2002, and the current group of senior writers have been meeting on a weekly basis since September. This year the participants have been working on poetry and memoir pieces and excerpts of their work are collected in the anthology which will be highlighted at the celebratory reading. The seniors’ pieces are about family, childhood, neighborhood, and more. Inprint fellow and workshop instructor Josie Mitchell will give a brief introduction. These workshops are part of the Inprint Senior Memoir Workshop program which, for more than 20 years, has provided a professional writer to work with groups of senior citizens at different community centers throughout the city. Similar Inprint workshops are currently running at the Jewish Community Center and Amazing Place, a day center for seniors with dementia. Inprint Senior Memoir Workshops are generously underwritten by Robin Angly and Miles Smith and The Samuels Foundation.